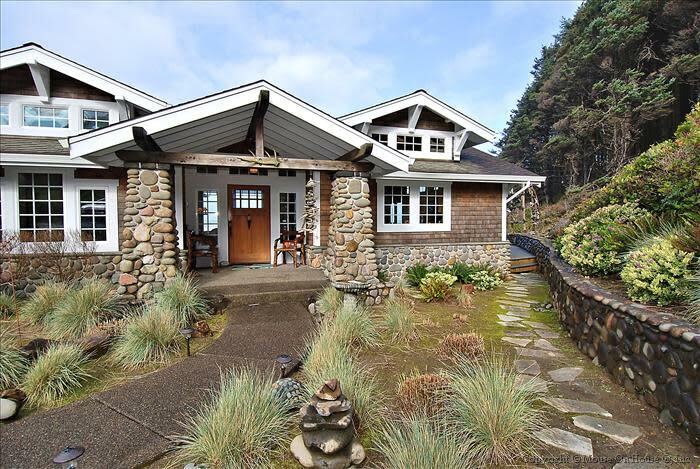 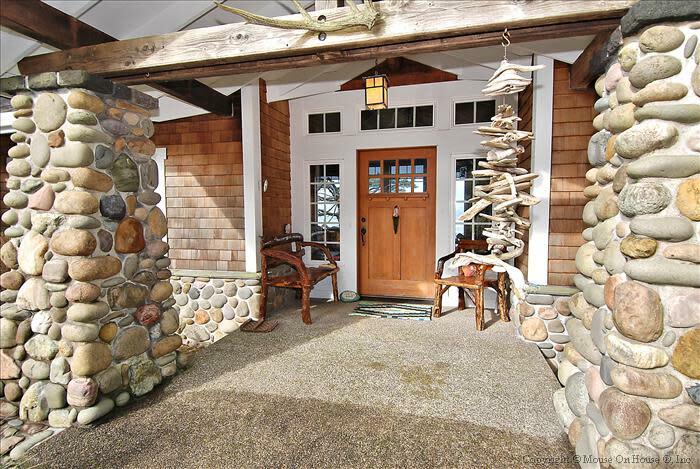 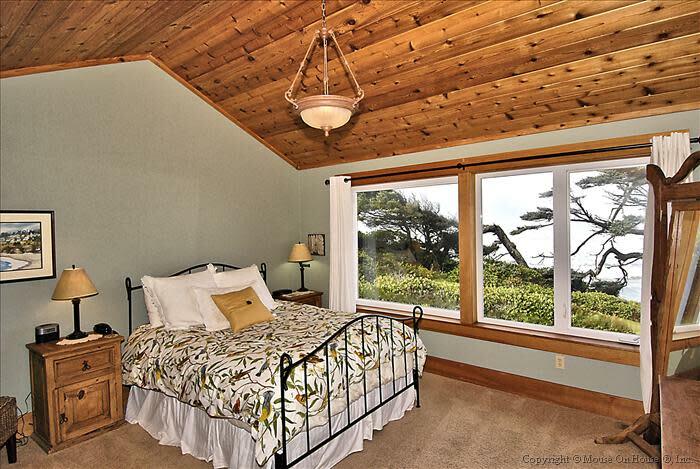 4 Bedrooms / 4 Bathrooms / Sleeps 12 This magnificent oceanfront, craftsman style home offers panoramic views of the ocean and surf from every room. 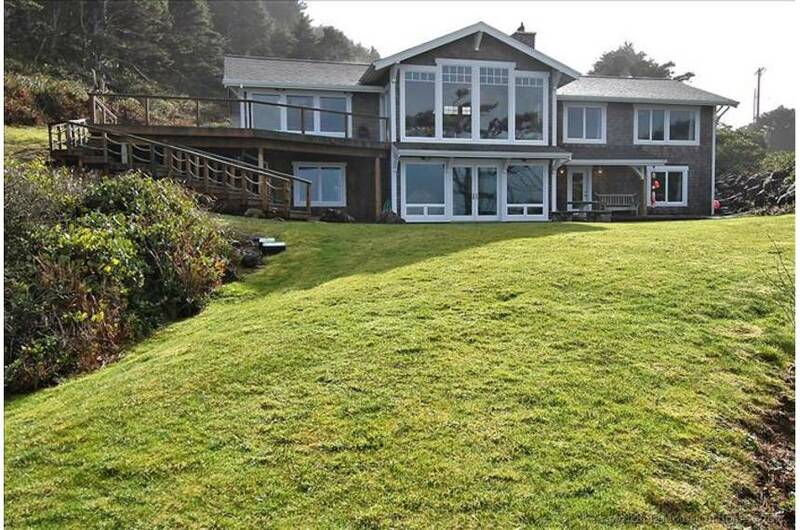 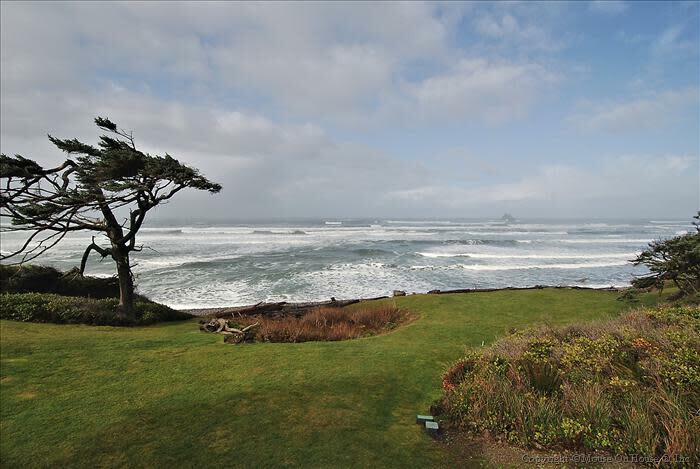 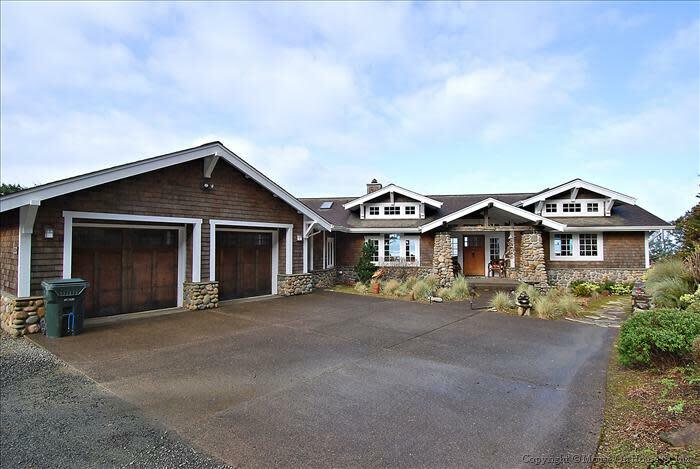 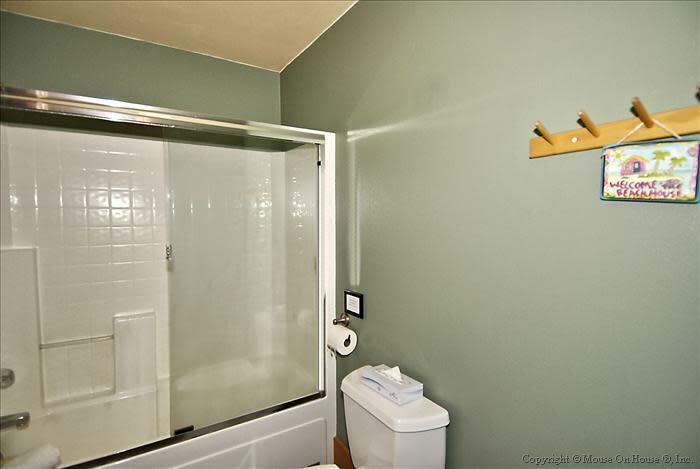 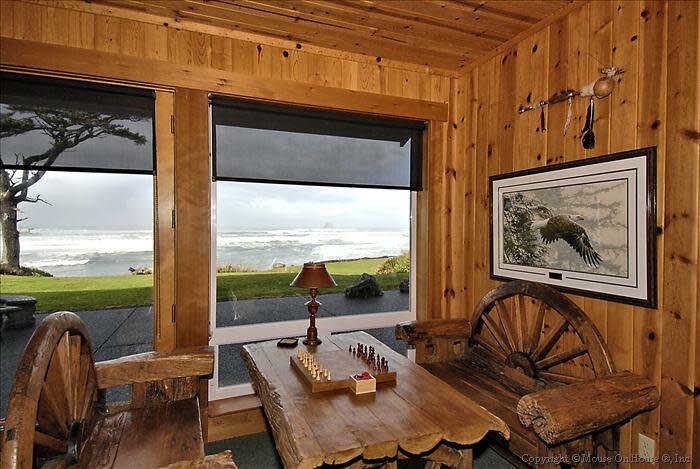 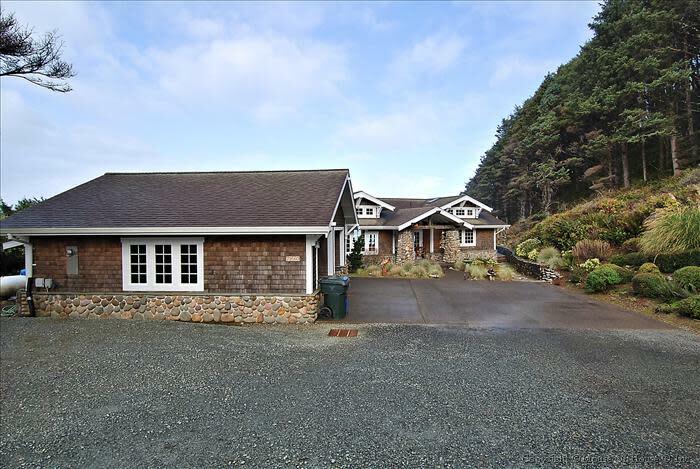 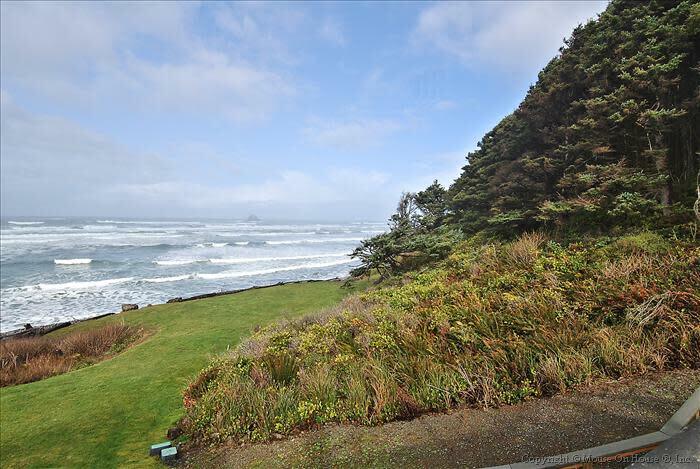 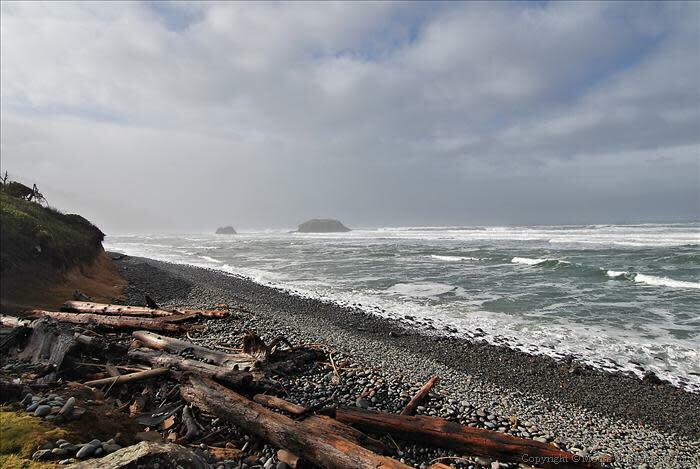 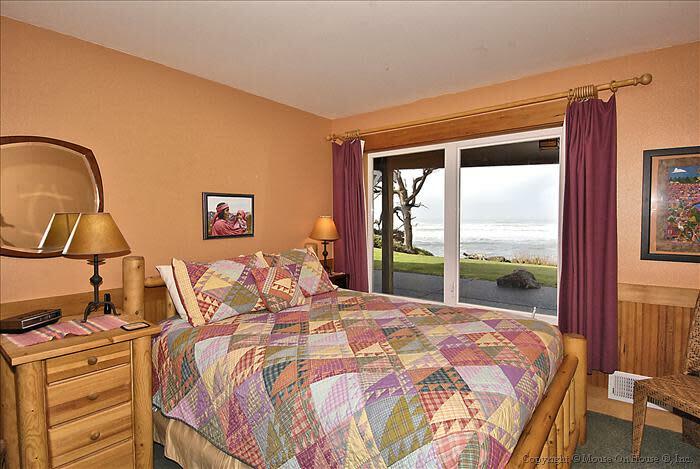 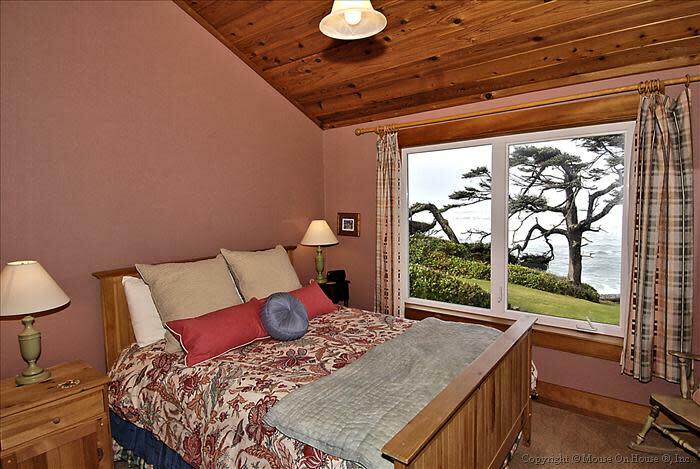 It is nestled on an acre of land at the end of a peaceful road in one of the most pristine areas of the Oregon Coast known as Falcon Cove and Cove Beach. 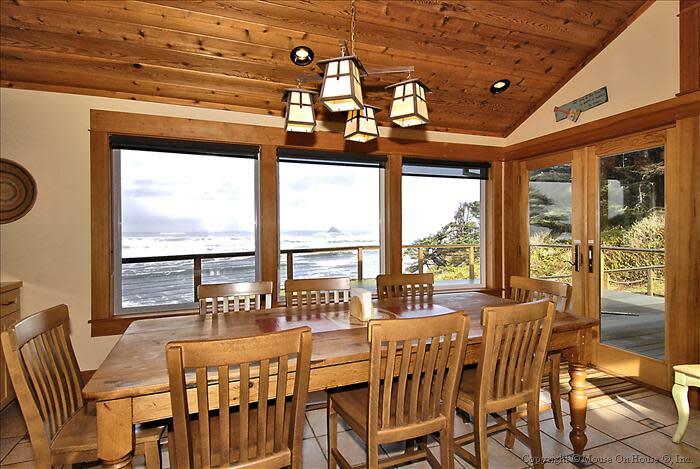 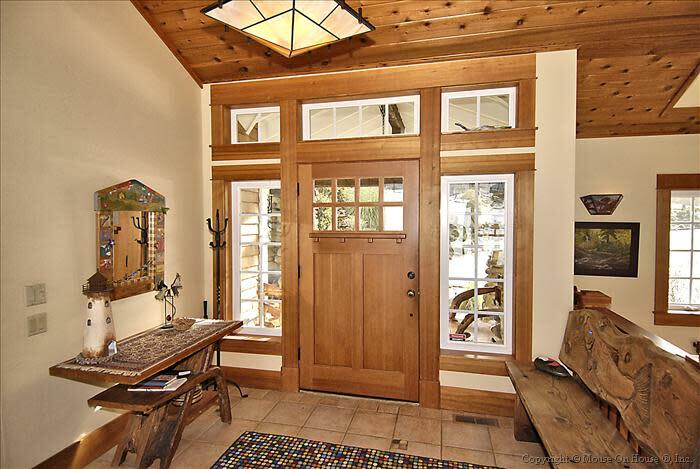 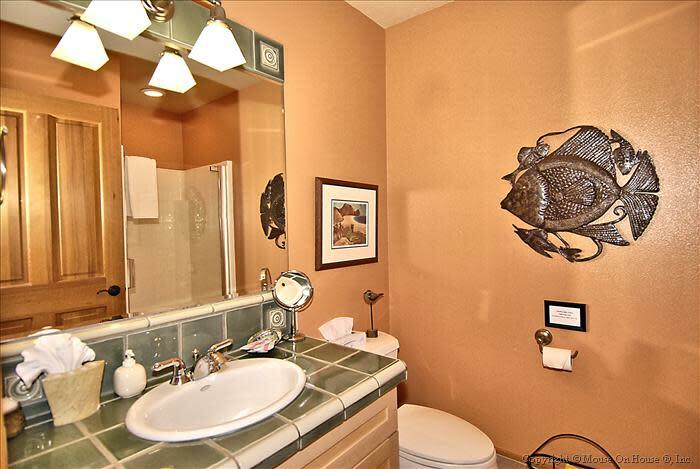 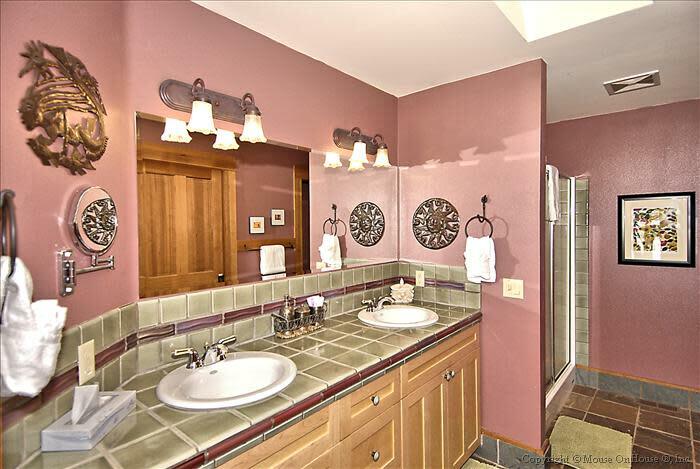 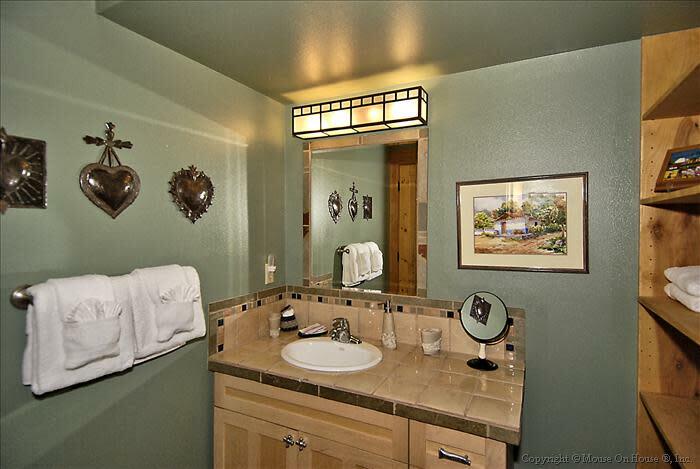 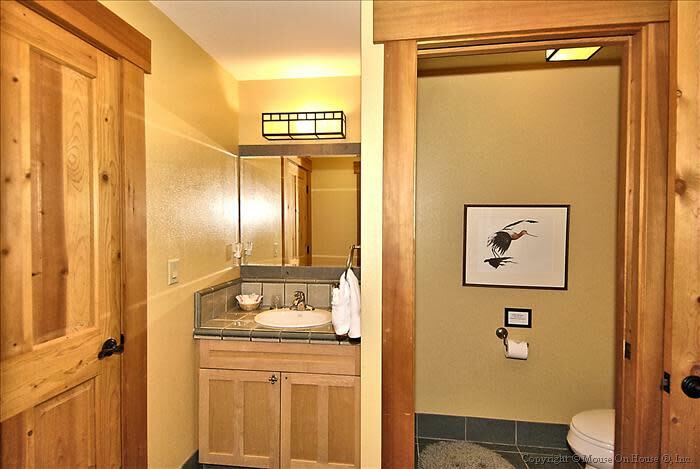 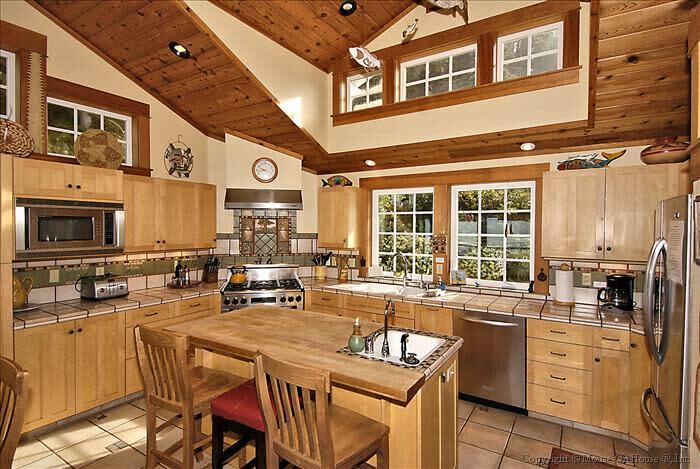 Cove Beach Lodge is an artfully decorated 4,000 square foot, 4 bedroom, 4 bath luxury home that sleeps 12. 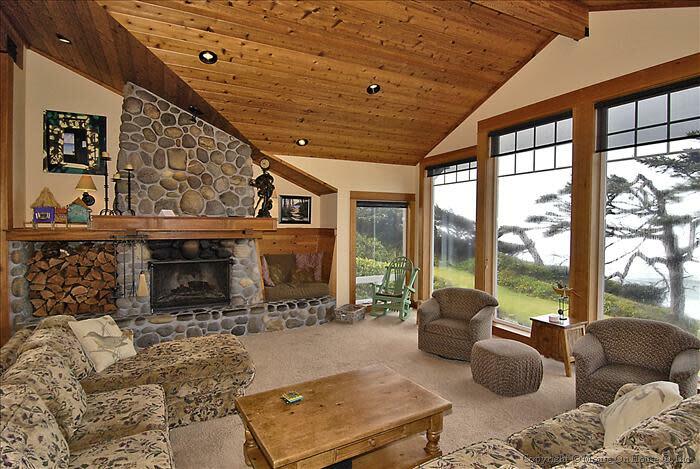 The Living Room with its tall windows and vaulted cedar ceiling offers a spectacular vantage point for sunsets & storm watching beside a large stone fireplace and a cozy built-in reading nook. 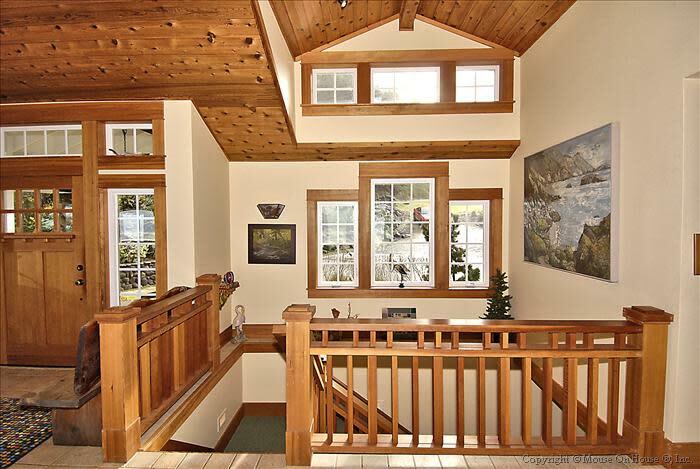 Skylights & lots of windows stream natural light throughout the house. 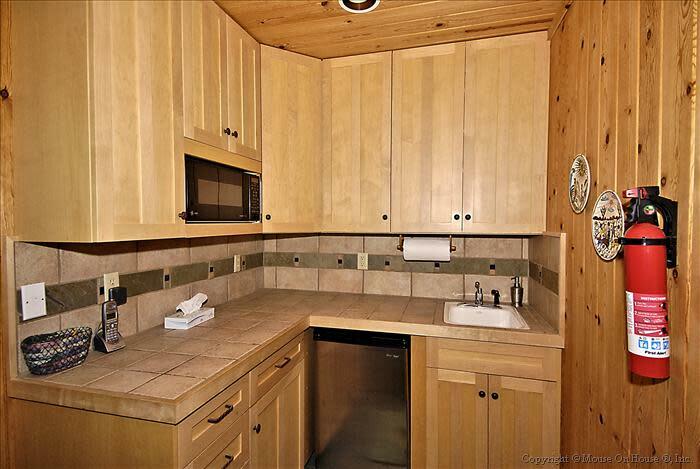 The Kitchen is a fully-stocked chef’s delight, with top of the line appliances including a 6-burner Dacor stove, a large wood block prep island, a buffet island, and a big family dining table. 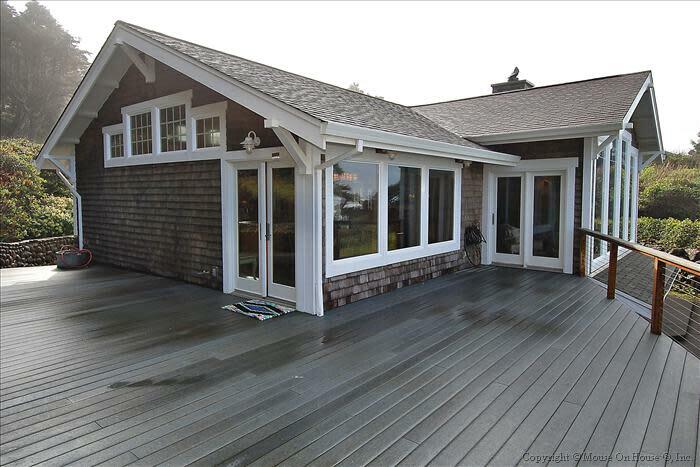 It all opens onto a large deck with outdoor table and chairs. 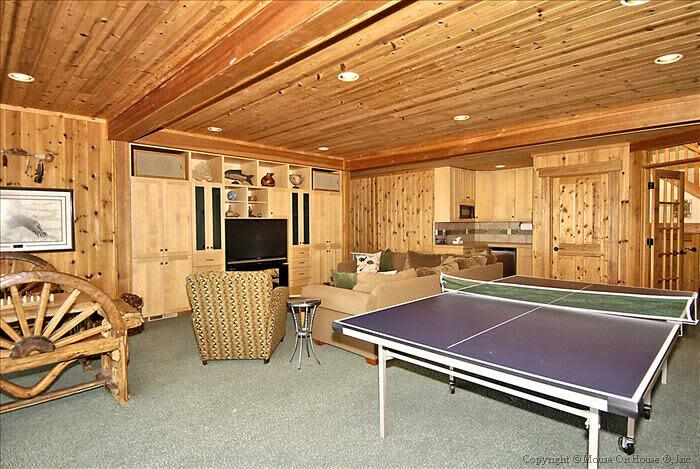 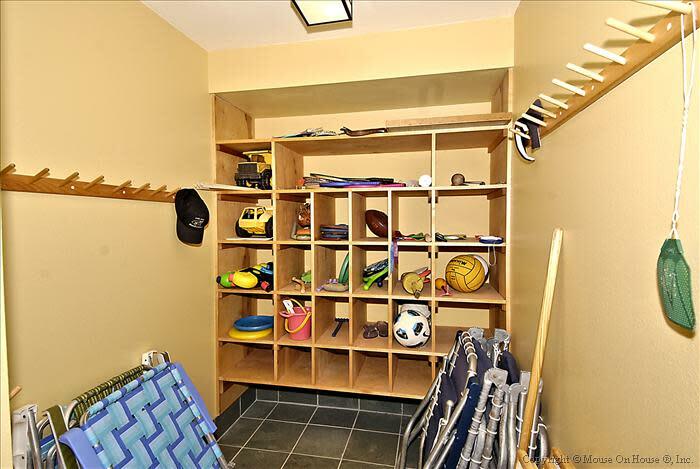 The downstairs features a Family Room with a 50 inch HDTV, kitchenette, ping pong table, game table and a secret play nook for the kids. 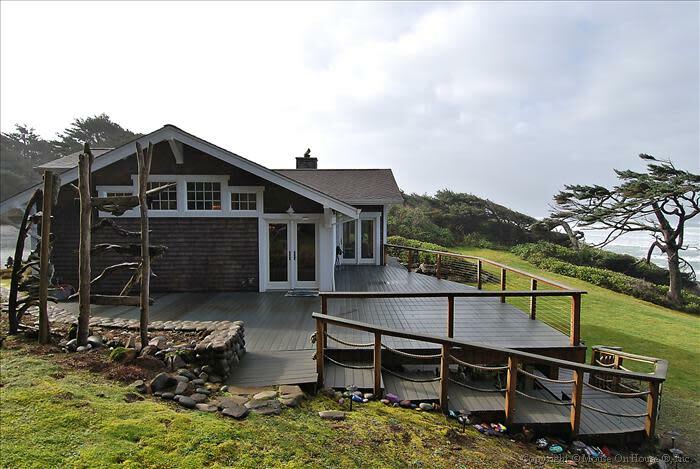 It opens onto a large patio with a beautiful landscaped yard and a ¼ acre of grass leading to the ocean and a campfire area. 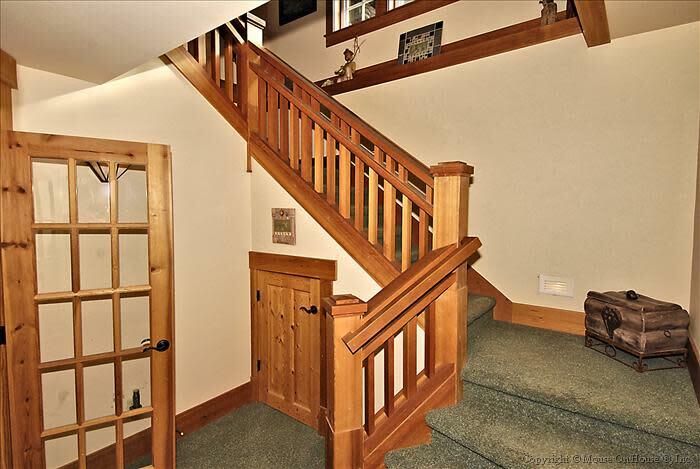 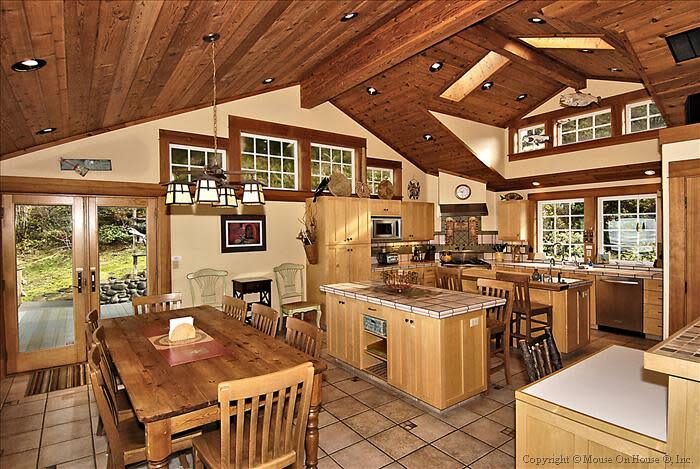 The house sits alone in a tranquil setting bordered by a spruce forest that is the home of elk and bald eagles. 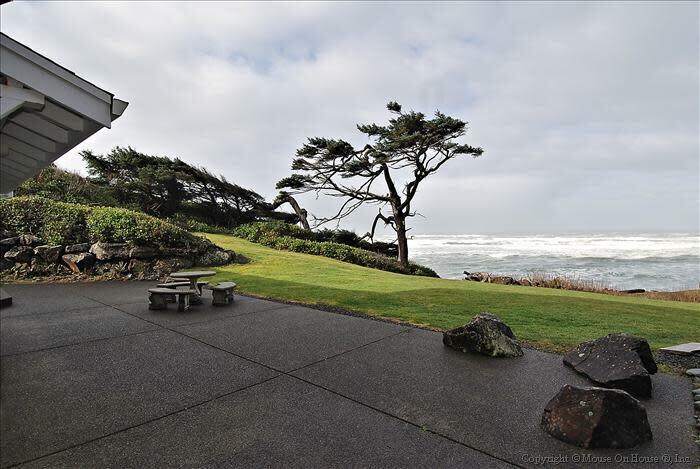 A beautiful wind sculpted spruce tree sways in the wind and you can watch sea birds soaring above 100’ high Castle Rock just offshore. 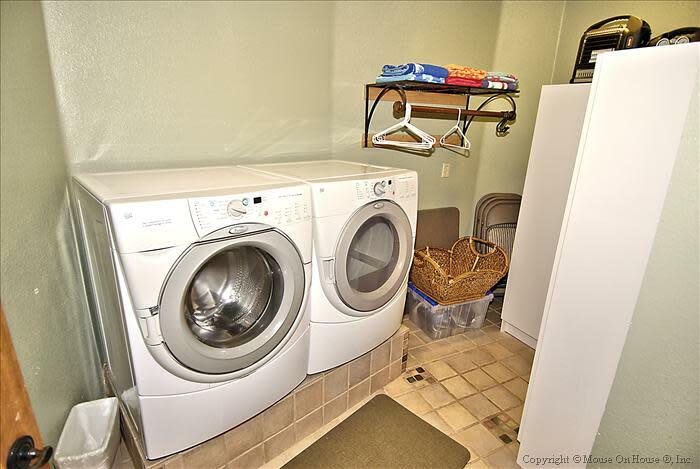 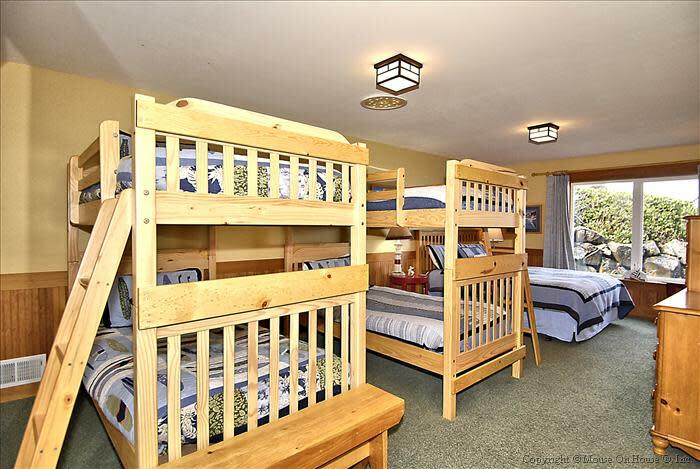 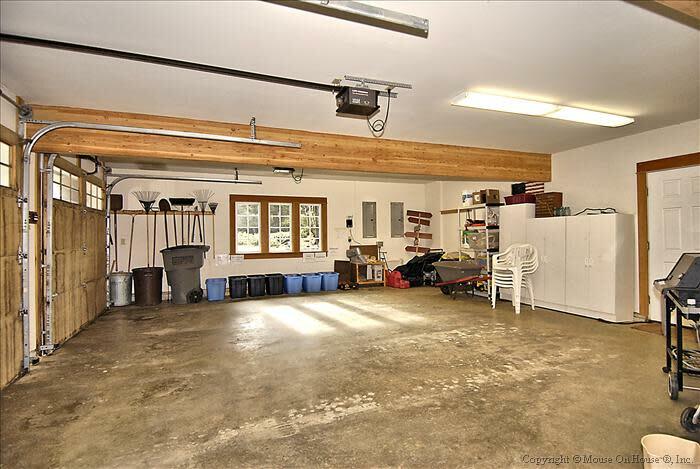 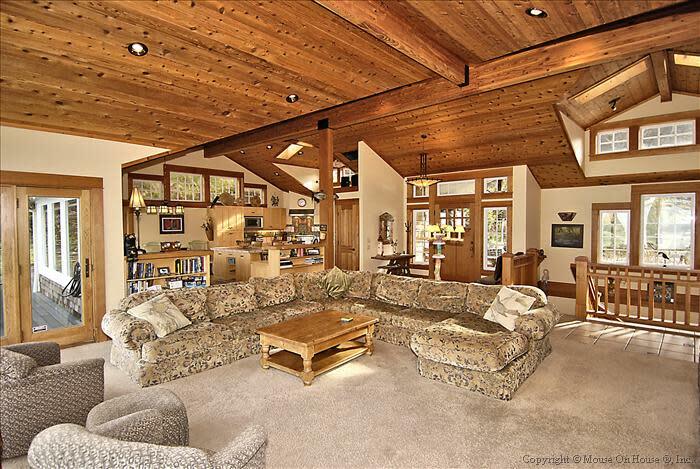 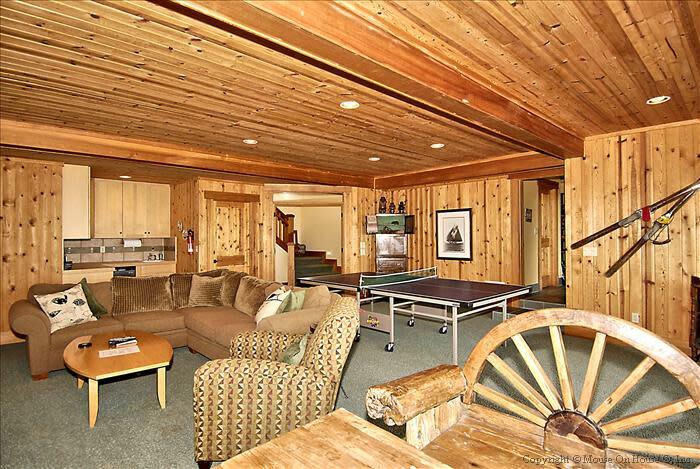 This spacious home is the perfect place for family and friends to share memories & create new ones.